Since it had been quite some time since we had taken the trailer out, we decided to fit a short trip in the week before Thanksgiving. 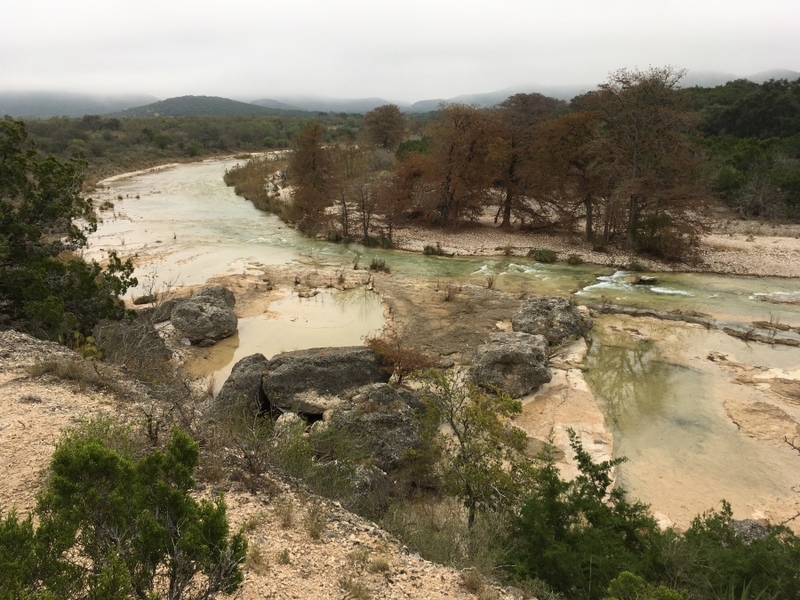 It turned out to be a good time to go, because the weather was good during our visit to the Texas Hill Country, and only started to degrade the day we left, as a cold front started through the state. 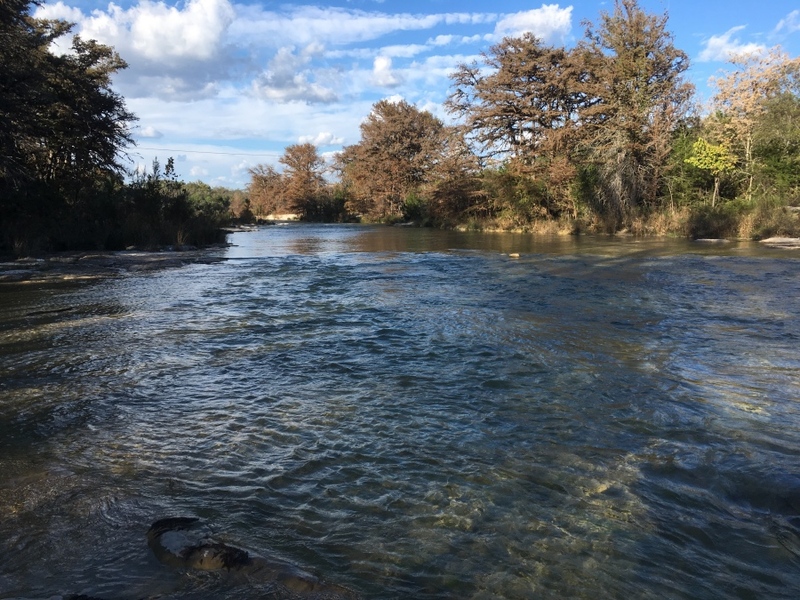 Garner State Park is a nice large park on the Frio River, with many challenging hiking trails. 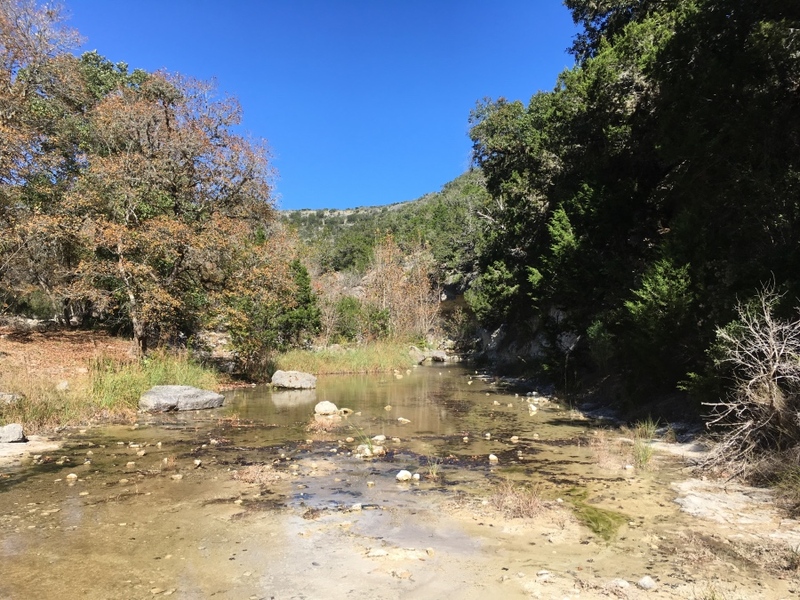 One day we decided to drive to Lost Maples State Natural Area and spend the day. 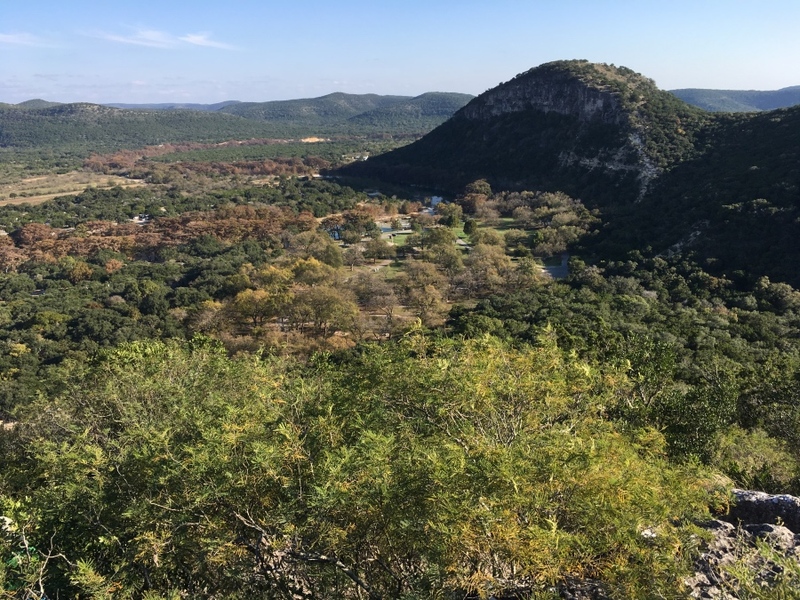 Lost Maples is another very popular park and is almost impossible to get a RV spot in their small RV area during the fall months. 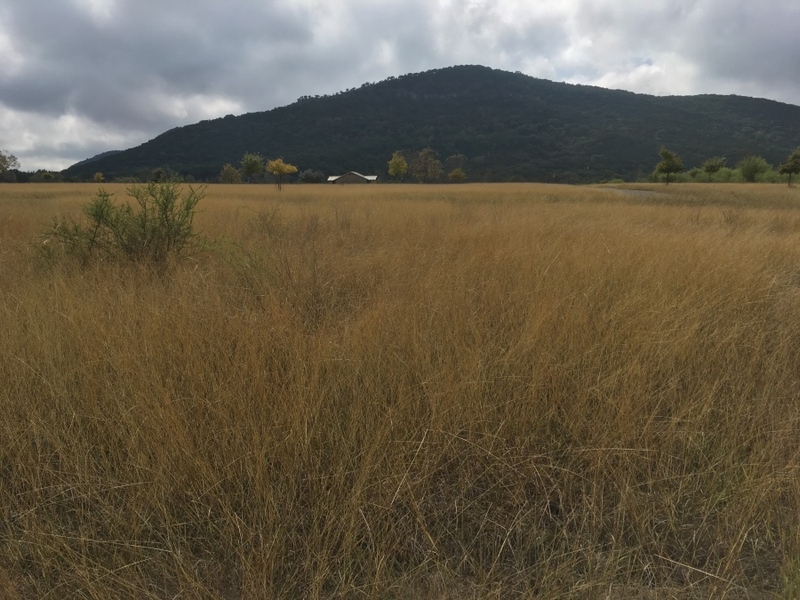 We look forward to another visit to the Hill Country in the future. 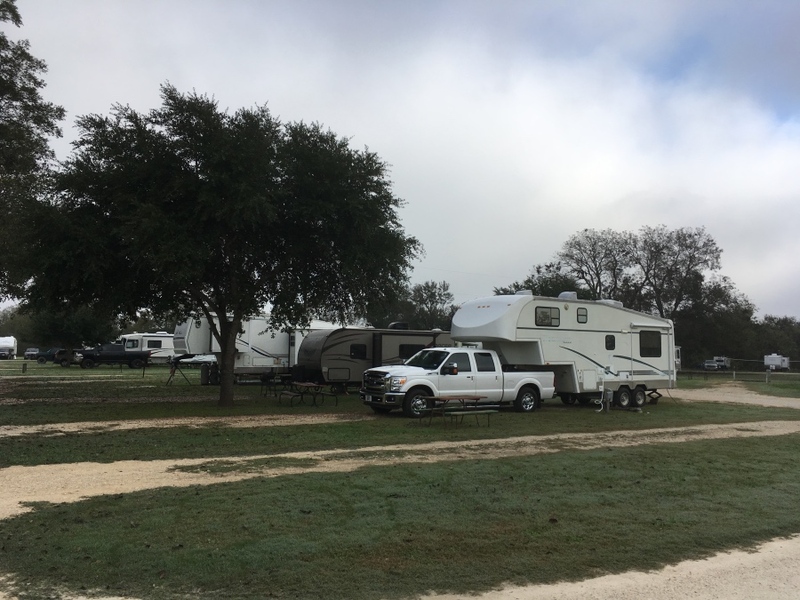 [Sunday] After church, we pulled the trailer to Luling, TX, where we spent the first night at River Bend RV Park. It was a nice park with very easy access from IH-10. 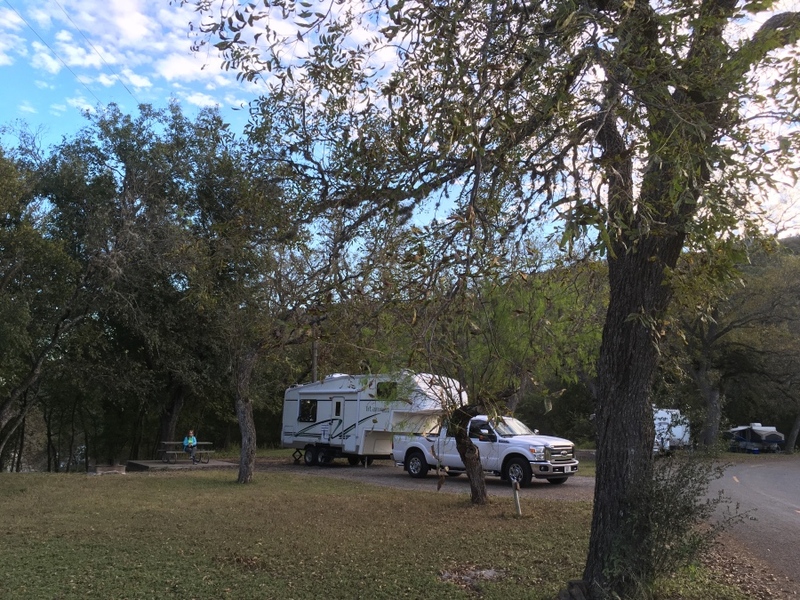 < Our campsite at River Bend RV Park. [Monday] We took I-10, US-90 and US-83 to Garner State Park. We checked into site 143 in the River Crossing Camping Area. 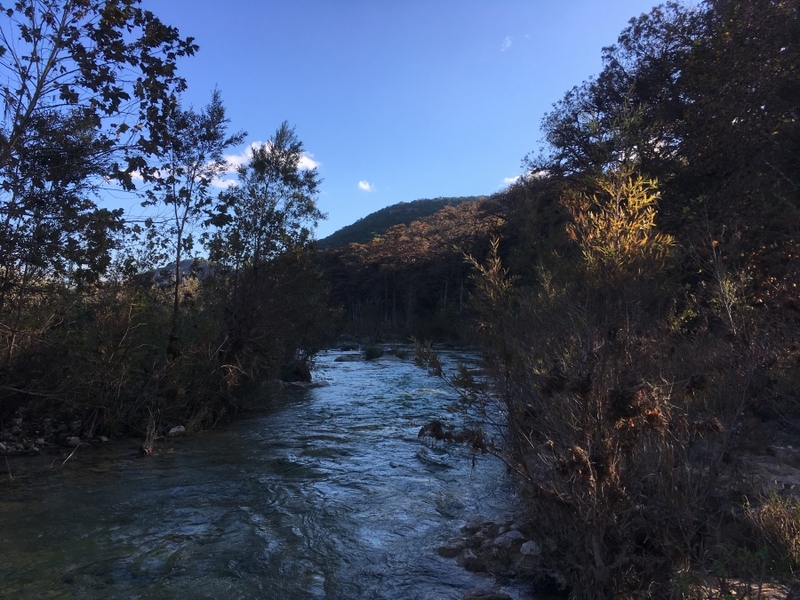 Before supper, we walked from our campsite along the Frio River and back. We were camped right on the river, and you could hear the river running from inside the trailer. It was one of the better campsites in the park, in my opinion. 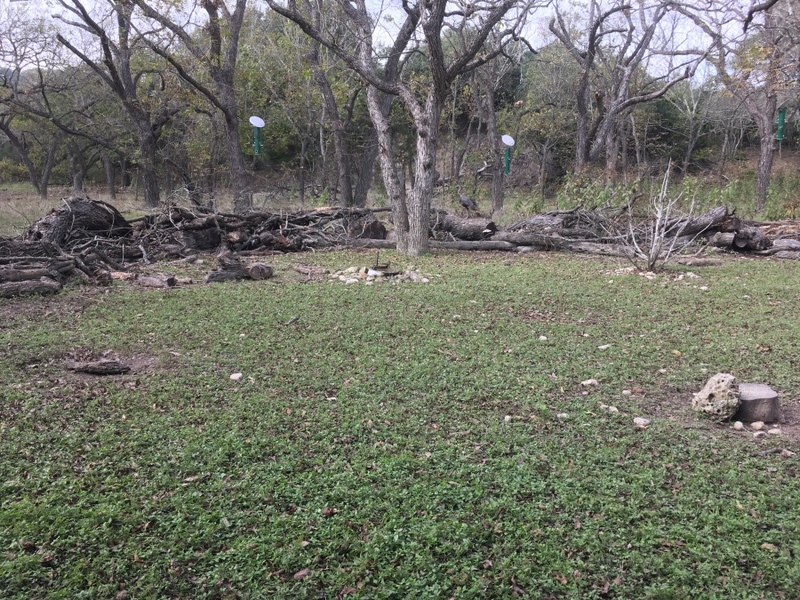 < Our campsite at Garner State Park. 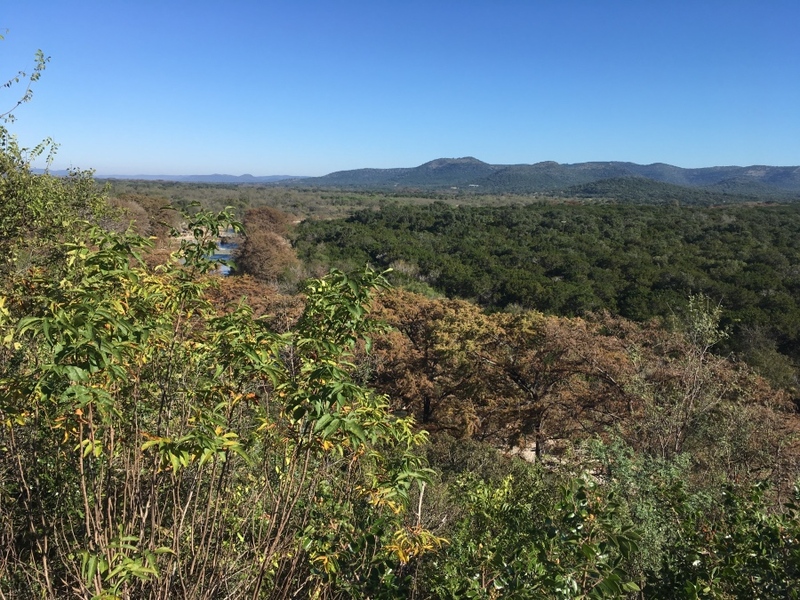 [Tuesday] In the morning we walked the Madrone Walkway to the Scenic Overlook. We walked the Old Entrance Road to the old CCC park entrance. The only challenge on this trail is that it was mostly uphill. 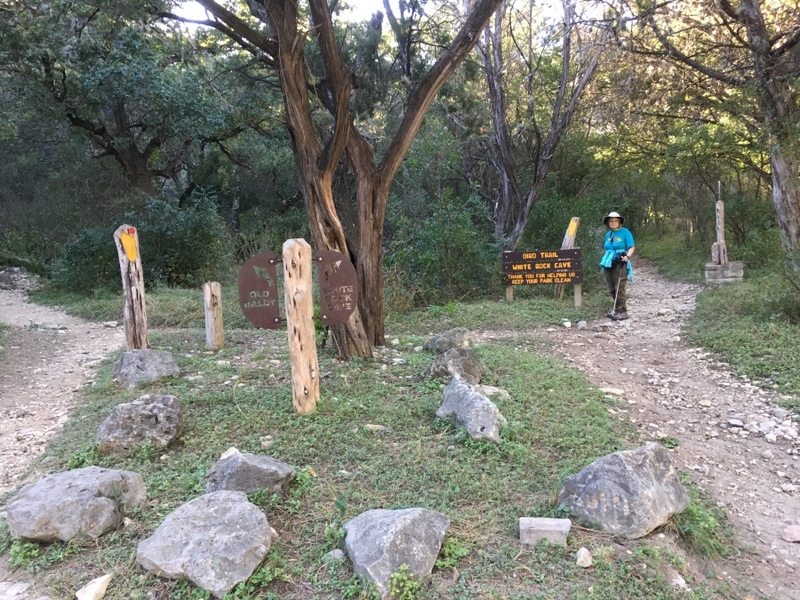 Then from the old park entrance, we took the Wild Horse Creek Trail back to the trailer. Pleasantly, it was downhill most of the way. < View from Scenic Overlook on Madrone Walkway. < < Old Entrance Road. 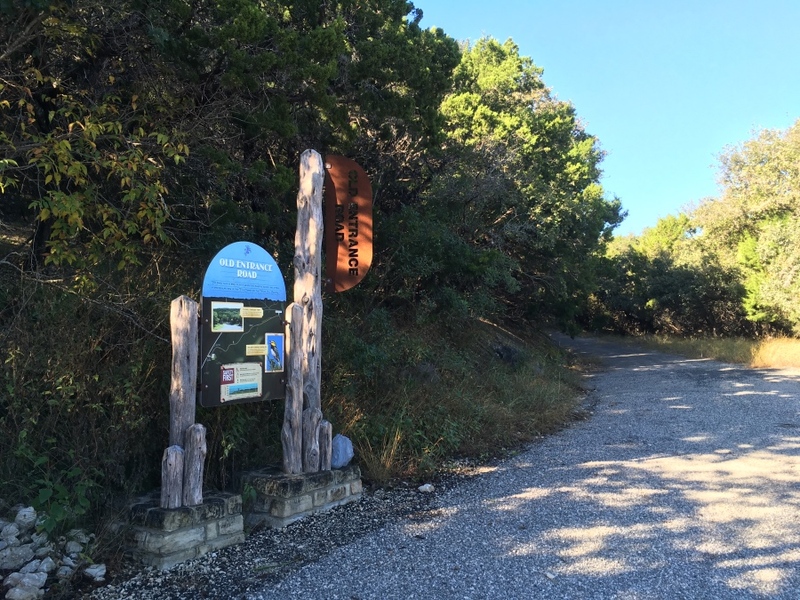 < Wild Horse Creek Trailhead. 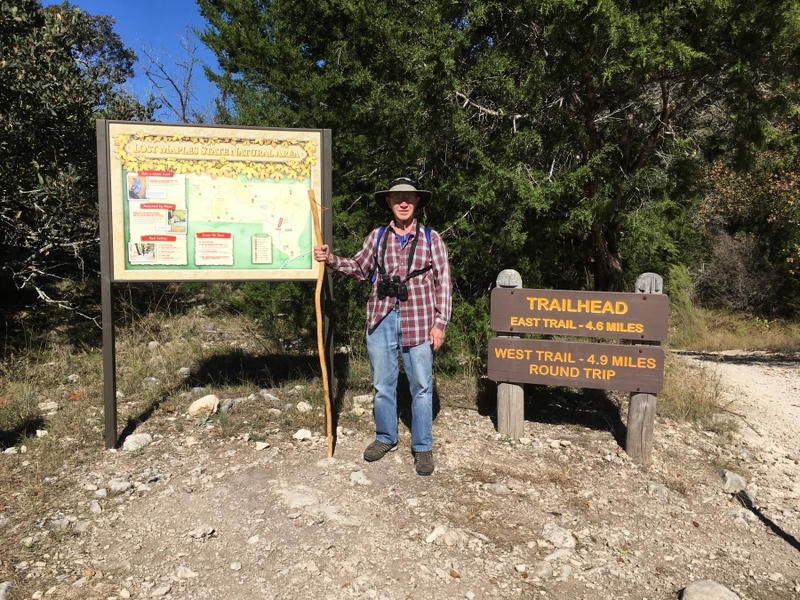 After lunch we drove down to the Pecan Grove Camping area and hiked the White Rock Cave Trail to the cave and back. 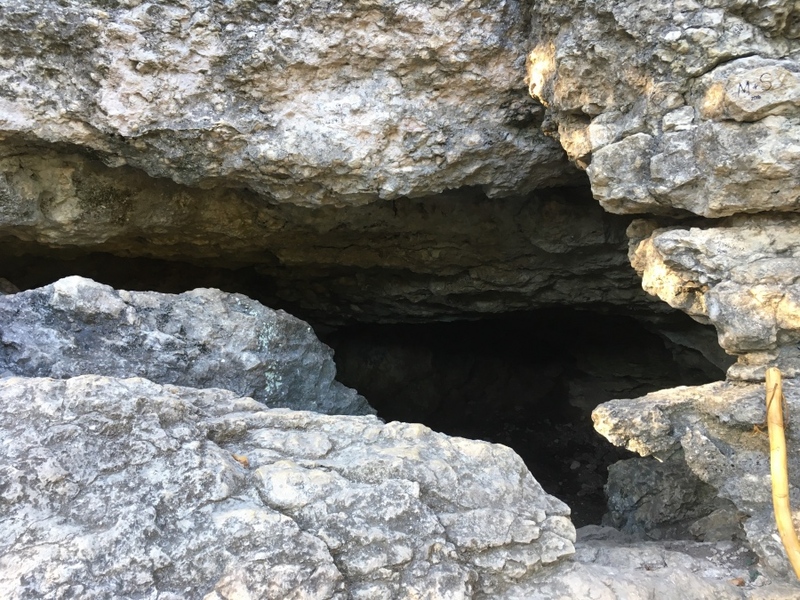 The trail started out as an easy uphill trail, but near the cave, it turned into a very steep loose rock trail that was a little dangerous. But, we made it to the cave and back down. 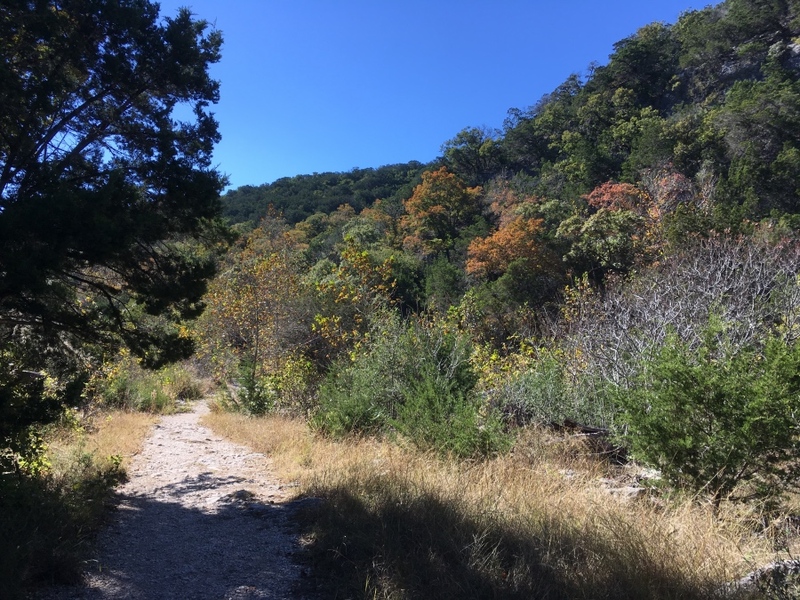 < < < White Rock Cave Trail. 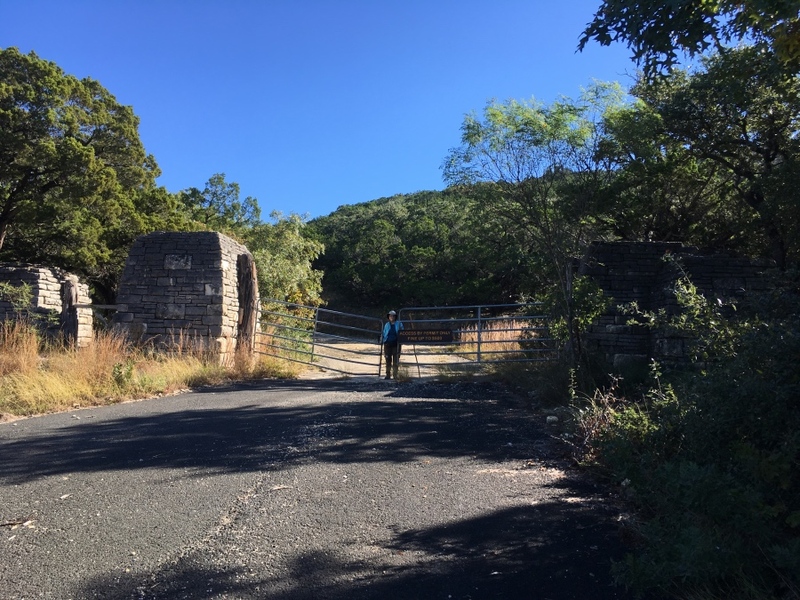 [Wednesday] We drove to Lost Maples State Park this morning via US-83 to Leakey, then RR-337E and TX-187. We hiked the East-West Trail about a mile and then back to the truck. We ate a picnic lunch in the picnic area. The weather was nice, but windy. Afterwards we hiked the East Trail to the Maple Trail, returning by it to the truck. On the way back to Garner, we stopped at Lost Maples General Store on US-187, and enjoyed some ice cream treats. We returned via Utopia and TX-1050. 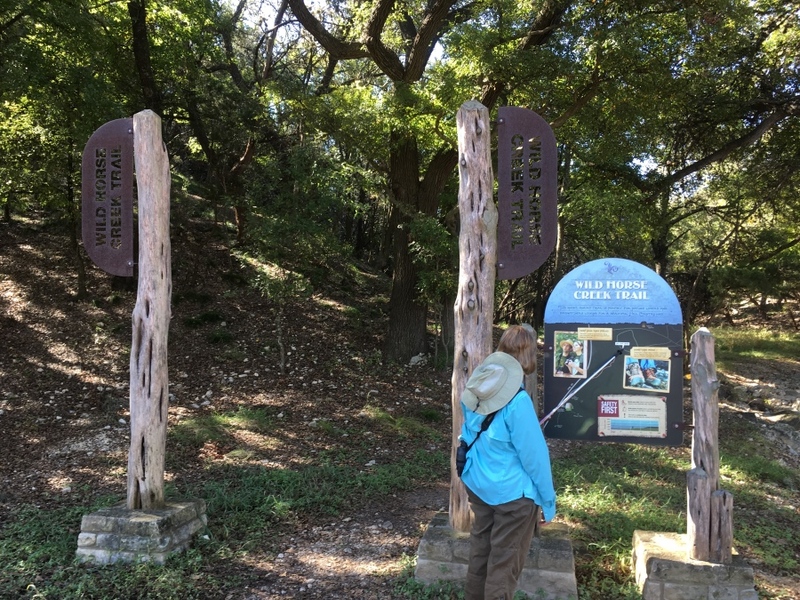 < Lost Maples East-West Trailhead. < East-West Trail. < East Trail. < Maple Trail. 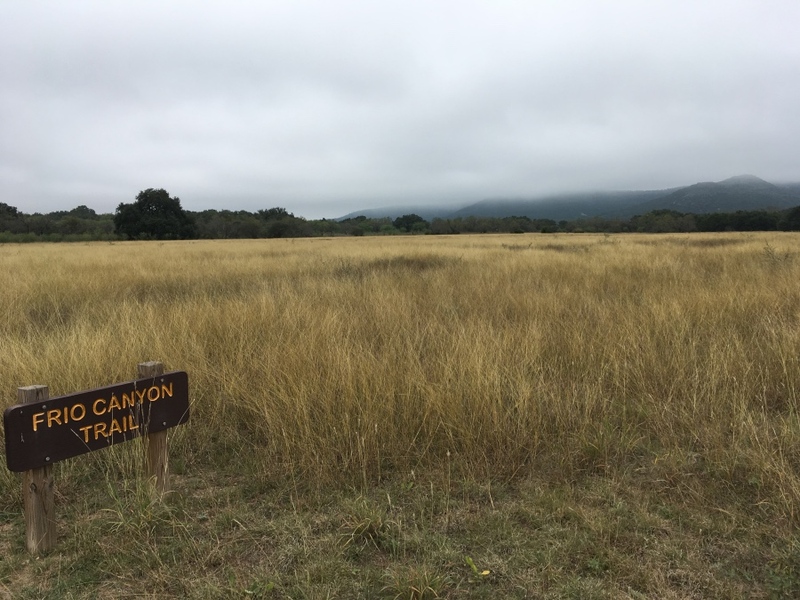 [Thursday] It was cloudy and cool this morning and we walked the Frio Canyon Trail and stopped at the Bird Viewing Blind. We saw wild turkeys up very close and many small birds, such as Black and White Warbler, Black Tufted Titmouse, House Finches, Cardinals, Lincoln Sparrow and Carolina Wren. 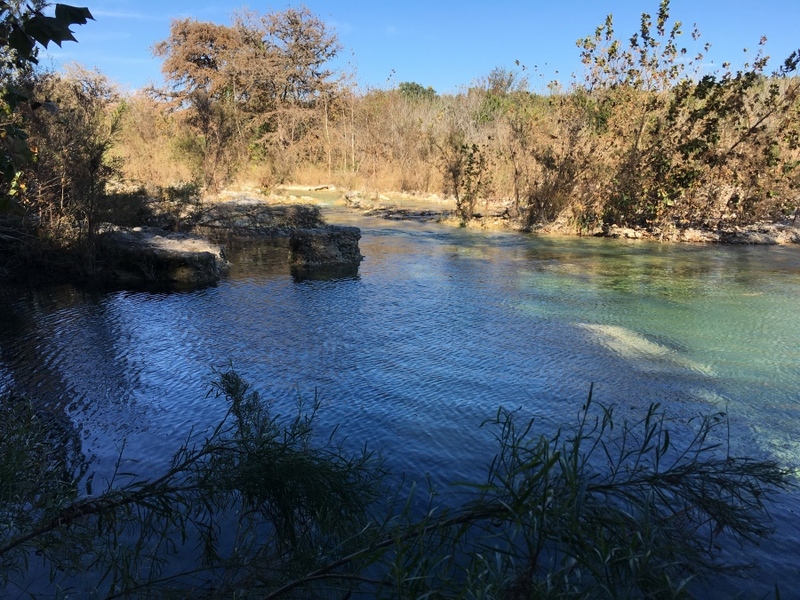 < Frio River from the Frio Canyon Trail. 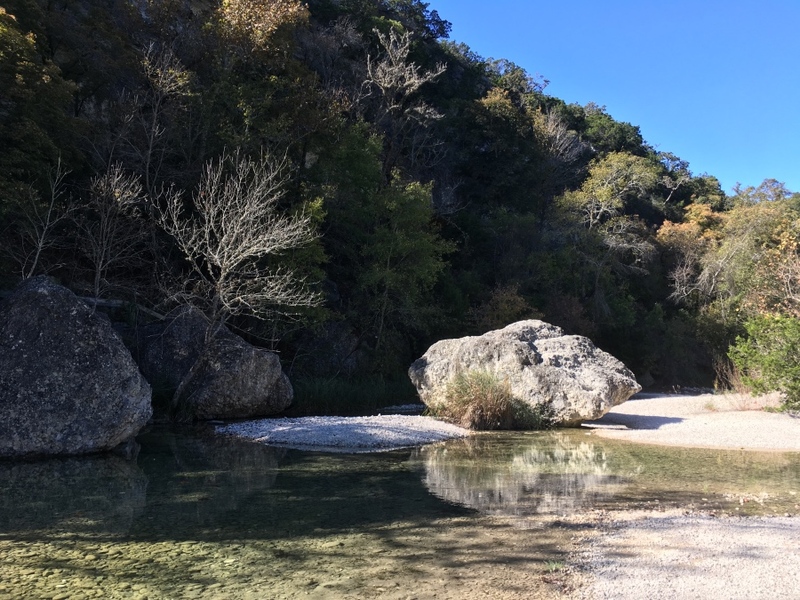 < < Frio Canyon Trail. < Bird Viewing Blind. 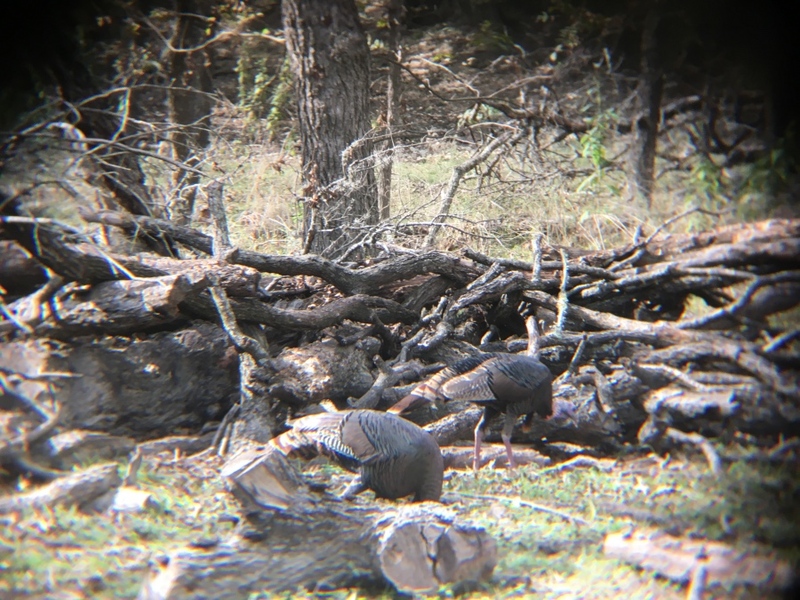 < Wild Turkeys at the Bird Viewing Blind. After lunch we hiked the Blinn River Trail and The Bridges Trail to the Painted Rock Overlook. We returned to the bird blind before sunset and saw the turkeys, Cardinals and Wren, but nothing else became it was late and they had eaten all the food. [Friday] After breakfast, we started back toward home. We got close to the Waelder exit on IH-10 and ran into some terrific traffic jam. We decided to abandon IH-10 and go south on TX-97 to Gonzales, where we picked up US-Alt90 back to Richmond, without further delay. 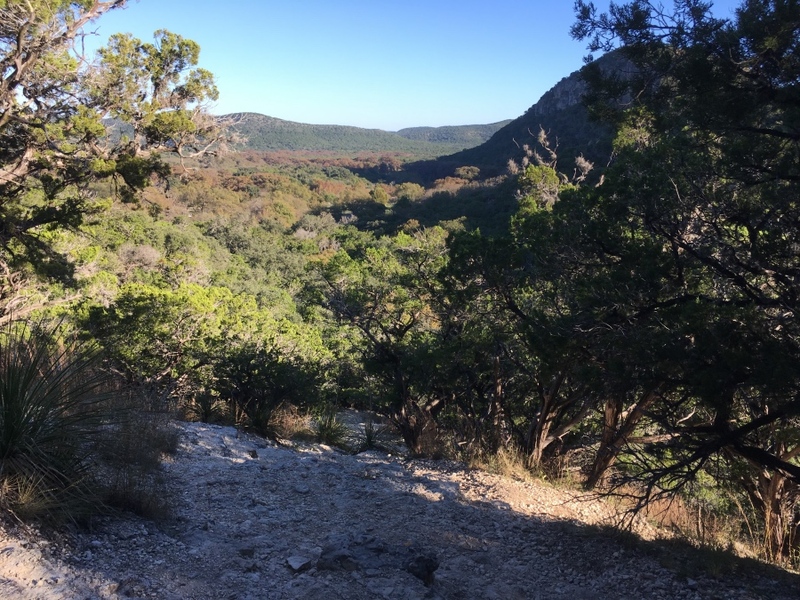 This draws to a close our brief vacation to the Texas Hill Country. We hope you enjoyed the photos and brief descriptions of our activities. God willing, join us again soon for another travel adventure.